* Spectacular snow-sure slopes for all abilities..
With its spectacular lake-side setting, world famous St Moritz offers a huge variety of snow-sure slopes reaching over 3000m, which are suitable for all levels. 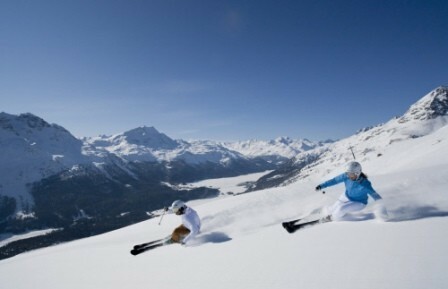 Most of the skiing in St Moritz is divided across two main mountains. Directly above the resort, accessed by funicular railway from Dorf and cable-car from St Moritz - Bad, is the sunny Corviglia area with mostly wide, well groomed runs, best suited to leisurely intermediates. A short bus ride away is the higher Corvatsch area, with more challenging terrain and an altogether wilder feel. Two smaller but worthwhile areas (the Diavolezza glacier and Lagalb) some 20km to the south complete the picture. Between them, these mountains offer a huge variety of slopes for all levels of skiers as well as some of the most memorable scenery in the Alps. St Moritz is not a resort we recommend for complete beginners. There are some reasonable nursery areas but they are awkward to get to with no obvious very easy runs to progress to. 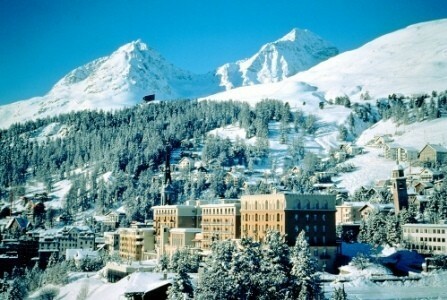 St Moritz is really two resorts. 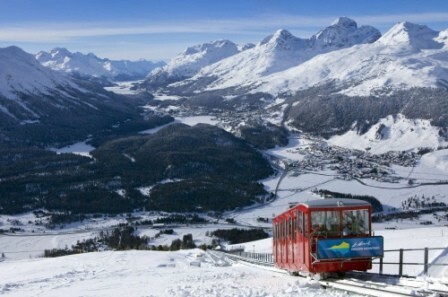 St Moritz - Dorf is the fashionable main town set in a splendidly elevated position just above the lake. This is where you will find most (but not all) of the 5 star hotels, restaurants and designer shops for which St Moritz is famed. At the top end of the lake, St Moritz - Bad is less overtly up-market, but in many ways better positioned for the slopes. Wherever you are, St Moritz is a fabulous place for non-skiers with a seemingly endless list of activities to choose from, many of which (such as polo, horse-racing and cricket) take place on the lake. 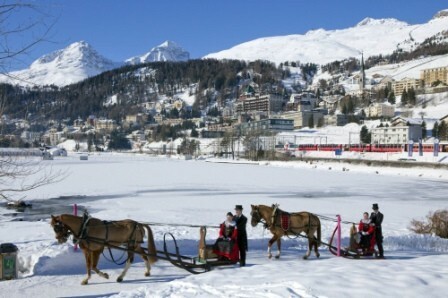 St Moritz is located in the canton of Graubünden in the south-eastern Swiss Alps, close to the Italian border. * Guide prices are based on a departure in low season and include flights, train transfers and 7 nights accommodation on a B&B basis.